Well, the good news is that the European GNSS program has recovered and stabilized the condition of its first two two full operational capability (FOC) satellites, which had been delivered into incorrect orbits following their August 22 launch. On September 27–28, the European Space Agency’s Space Operations Center (ESOC) in Darmstadt, Germany, handed over the now fully functioning Galileo spacecraft to the Galileo Control Center (GCC) in Oberpfaffenhofen, Germany. GCC operators will care for them pending a final decision on their use, as preparations get under way for the next round of launches. The satellites are in excellent health and working normally, according to ESA. A problem in the upper stage of the Soyuz launchers left the pair in the wrong orbit, with higher apogee, lower perigee, and an incorrect inclination compared to the planned circular orbit. The erroneous orbital positions presented a sudden and unexpected — though not untrained for — challenge to the team at ESOC responsible for the launch and early orbit phase. For months before the launch, a joint team of mission operations experts from ESA and France’s CNES space agency had trained intensively for dealing with any contingencies that might arise in the critical period — typically lasting about eight days — from separation from the launcher until handover to Oberpfaffenhofen. Basically, the ground stations were pointing their antennas toward where the satellites were expected to be; so the control center was not receiving good signals. Engineers determined the approximate actual orbit of the errant satellites within four hours, Stefanov said, and then generated new commands to point the ground antennas to establish robust radio links. Working around the clock, and with assistance from the Galileo project engineers and the satellite builder, OHB-System, the teams then started to look at how to release the solar arrays, which remained stuck in their folded launch positions. “Each undeployed wing had to be treated as a separate problem,” says Flight Operations Director Hervé Côme. It took three days to release the trapped solar wing of the first satellite and then two days more to free the second spacecraft’s stuck array. The satellites have since been brought into full operation, as the teams in Darmstadt were tasked to retain control for five weeks — four weeks longer than planned. “This was very demanding on the ESA and CNES personnel, and on the ESOC operations team in particular, but the strong bonds developed through months of joint training enabled them to perform very well,” says Stefanov. Possible uses of the two satellites are now being studied and a future mission scenario will be decided at a later date. Although handing over the satellites to the Galileo Control Center, where they are operated by teams from a private company, spaceopal GmbH, had been practiced in the past, this was the first time it was done with FOC satellites in orbit. The delicate process involves transferring responsibility for commands and telemetry, and beginning the satellites’ “secure mode’”of operation by the teams at Oberpfaffenhofen. The handover ran very smoothly over the last weekend in September, according to ESA. “By the end of the Saturday, the first satellite was fully handed over, while the second handover took place on Sunday,” said Richard Lumb, ESA’s Galileo mission director. 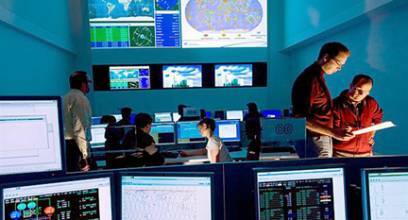 “I am extremely proud of the entire Mission Control Team and the way they handled a dramatic and very critical situation resulting from multiple, independent anomalies,” said Paolo Ferri, ESA’s head of mission operations. “The accuracy and professionalism of the subsequent handover activities also showed that the joint team at ESOC and the spaceopal team at the Galileo Control Center are very well ‘tuned’ for this procedure, which will become increasingly frequent with future launches,” Ferri added.